Cast – Clint Eastwood, Bradley Cooper, Michael Peña, Taissa Farmiga, Dianne Wiest, Laurence Fishburne, Andy Garcia, Alison Eastwood, Clifton Collins Jr. Plot – Based on a true story, 90 year old Earl Stone (Eastwood) becomes a drug mule for a Mexican cartel, not aware that DEA agents Colin Bates (Cooper) and Trevino (Peña) are hot on the trail of his employers. 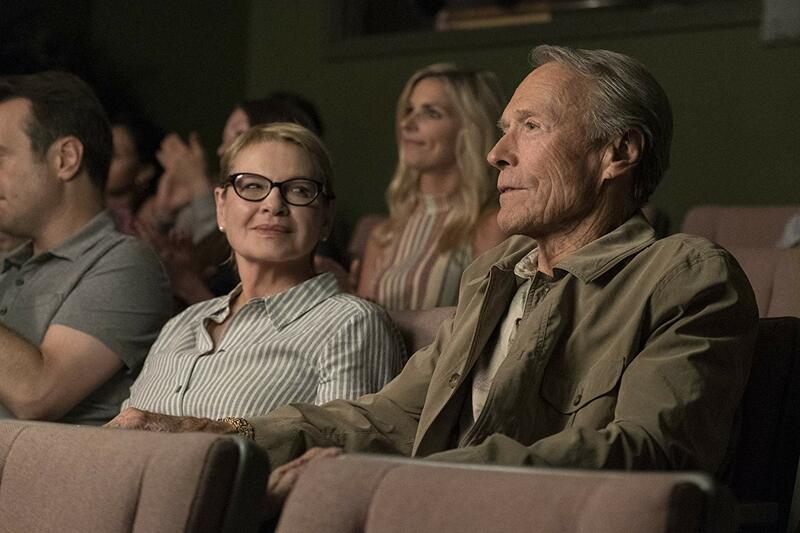 You’ll learn some odd things from The Mule, Clint Eastwood’s return to the big screen at the ripe old age of 88. *Being a mule for a gun-toting cartel can be a lucrative and relatively hassle free life. *Clint Eastwood sure hates phones but loves woman (especially ones in bikinis). *Clint Eastwood hates the “darn internet”. *Family is more important than work. *Watching countless scenes of Eastwood sitting in a car and singing the wrong words to songs is a randomly therapeutic feeling. *Actress Diane Wiest can do the worst impression of someone dying you’ve ever seen, with the actress honestly downright embarrassing in her turn as Eastwood’s Earl Stone’s ex-wife Mary. There’s more teachings and observations to be found in Eastwood’s latest film, a film that the legendary Hollywood figure shot and edited in roughly half a year, continuing on his long lasting legacy of getting things done with very little fuss and bother but like much of his work over the last 10 years, The Mule does feel like a rather haphazard affair, even if it’s still an undeniable joy getting to see Eastwood ply his trade in what certainly should be his last acting role. There’s a lot wrong with The Mule, most glaringly the fact that it’s hard to know what we are supposed to feel for Earl, who’s a racist, bigot, self-centred and rather unlikable central figure who we are supposed to feel sorry for because he wishes he was better to his family? It’s an odd choice to make Earl such a genuinely cold main protagonist, while the films other problems such as a fair share of trite dialogue, underdeveloped side characters (the likes of Bradley Cooper, Clifton Collins Jr, Laurence Fishburne and Andy Garcia may as well have not shown up), treatment of its generic Mexican villains (who love a good party and gold guns) and the tension-free plot that literally allots 90 minutes of screen time to Earl just driving around on cross country drug runs and learning how to text, help to combine to make The Mule a so-so outing. Where the film does find itself winning is the care-free nature of Eastwood’s acting. There’s something odd, charming and even hilarious about the living legends turn here, shuffling around and enjoying the finer things in life like threesomes, dancing, pulled pork sandwiches, helping “dikes on bikes” and assisting coloured folk with changing their care tyres, Eastwood’s turn as Earl is a sight to behold and in some brief moments within the film, quite touching and the chance to see Eastwood once more on the big screen is an enjoyable occurrence, even if it’s unlikely The Mule will ever be thought of much more once time wears on. A sometimes atrocious and sometimes oddly brilliant true life yarn that could’ve done with a few extra months of refinement and polish, The Mule is forgettable Eastwood but also an entertaining excuse to witness the Hollywood icon appear on the big screen for what should be his last acting role. Unfortunately, this one came and went at the local cinema before I got the chance to see it. I hope to catch it on the TV… I’ll watch anything Eastwood! It’s great to see him mate, I mean any excuse! The film overall is a little average but it was watchable thanks to Clint.